Here's a cryptic crossword. I was originally planning on having some sort of overarching theme, but the words were just not fitting together how I wanted. Good luck! OP requested comments, so here are some. 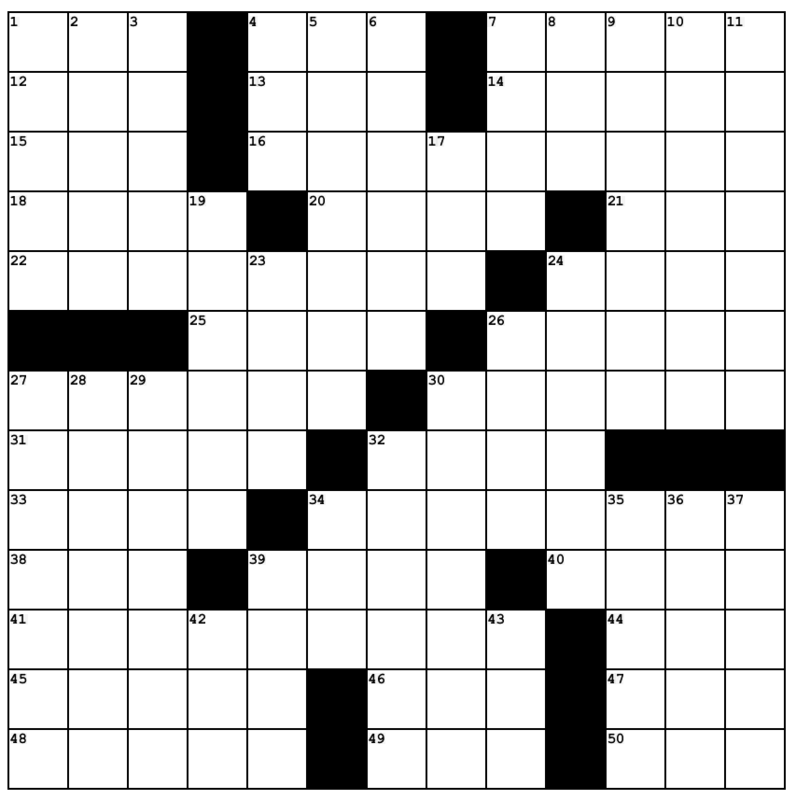 Many of these clues are rather "loose": they have words that serve no function in the "grammar" of the crossword clue, but are there only to make the surface reading work out (e.g., "I" in 14a; "adore" means "love" -- it doesn't mean "I love" nor does it mean a person who loves; or "He" in 37d), or have definitions that aren't really definitions (e.g., 31a; I'm not sure whether the definition is meant to be "afternoon" or "afternoon soup" but neither really seems like a definition of "snack" to me), or are missing a wordplay indicator (e.g., 33a, which needs something to say "take the first letters of these words"), etc. So my main bit of feedback would be: cryptic crossword clues have strict rules, and you should be less willing to break them. Having said that, there were some clues I really liked; e.g., 45a is simply a good clue, and I like the idea of 26a although I'm not sure its grammar quite works. Not the answer you're looking for? Browse other questions tagged cryptic-crosswords or ask your own question.